The market was busy again this morning by eight, with eager gardeners who have been persuaded that it is time to commence Spring planting. 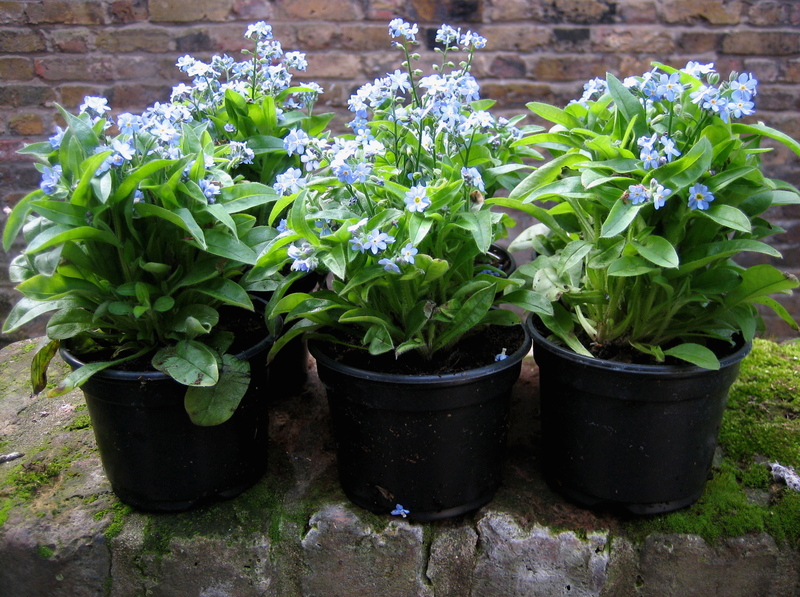 Although the crowd was sufficient to encourage me to get up earlier next week, it was not long before these honest Forget-me-nots (Myosotis) caught my eye and I bought six for just £4, enough to to give me a few clumps this Summer and to naturalise in future years. The very name Forget-me-not defines a certain summery blue and as the months wear on the flowers develop subtle mixed tones of blue and pink. 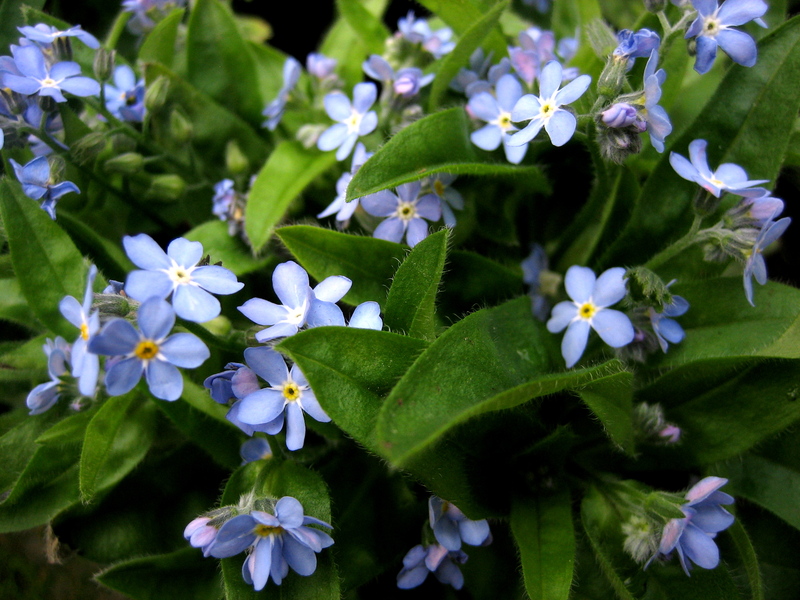 One of the first flower names I learnt, Forget-me-nots are one of those humble plants that have been cultivated in England since medieval times and of which you can truly say no garden should be without. Finding such delightful forget-me-nots is a great reason to be up and out so early on Sunday morning. We readers also have the pleasure of observing the results of this blossoming Columbia Road Market tradition.